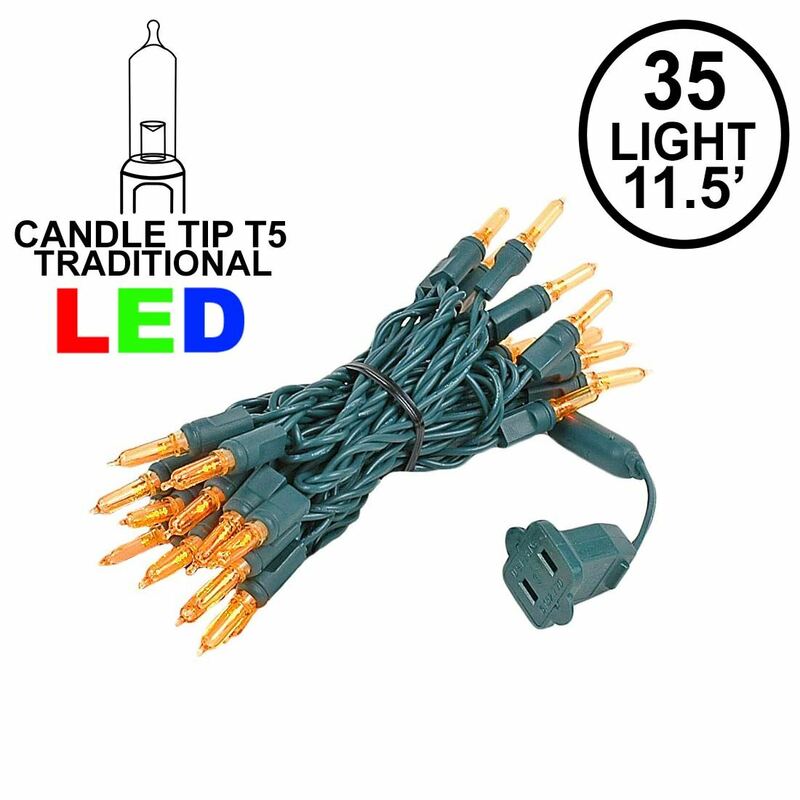 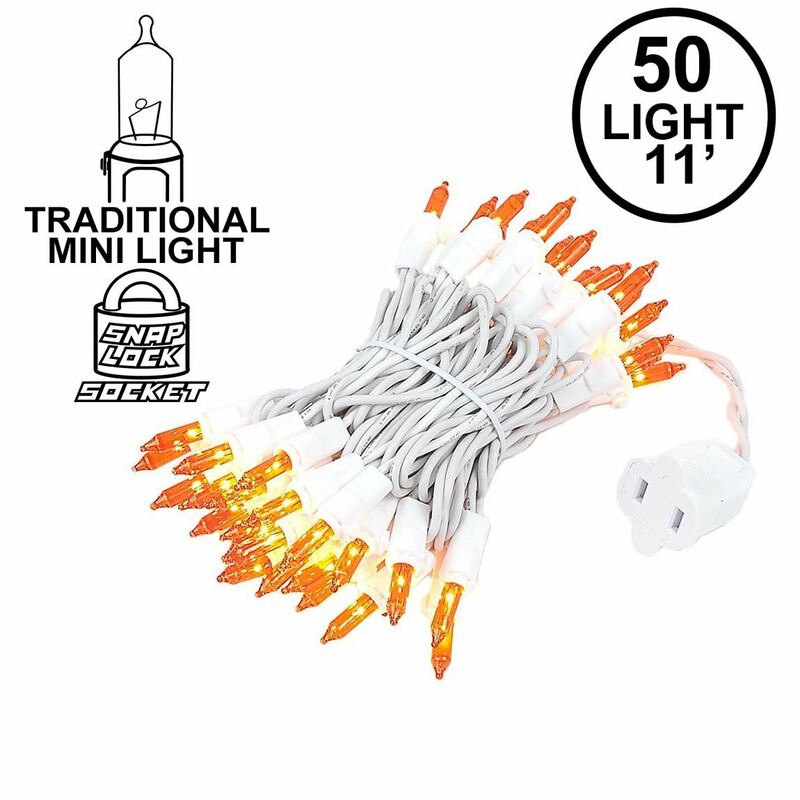 This amber/orange 50 light mini Christmas lights set is 11' long on brown wire with 2.5" bulb spacing and ideal for decorating Christmas, special holiday or craft projects. 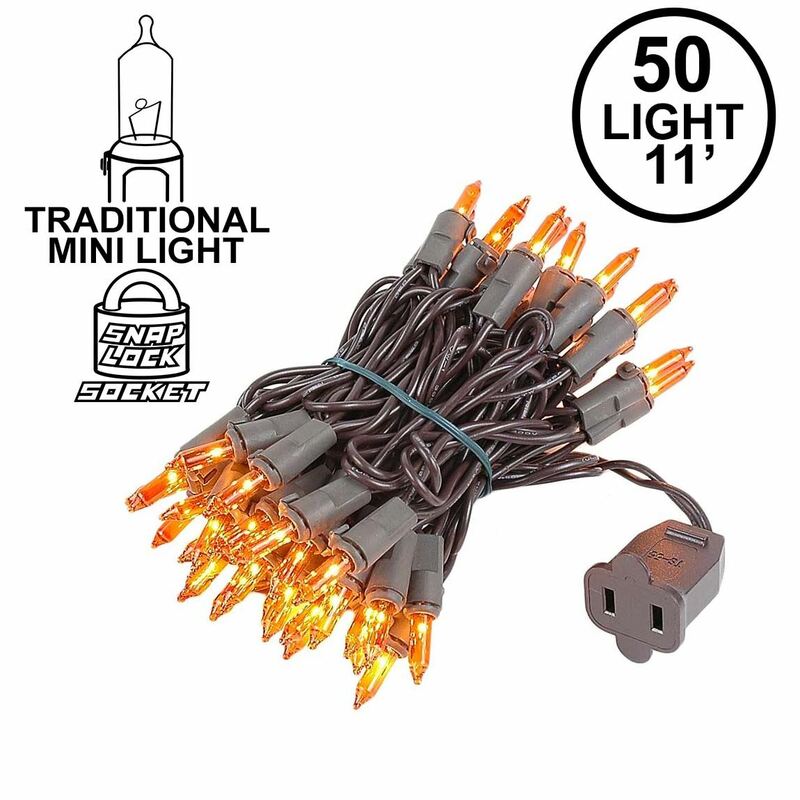 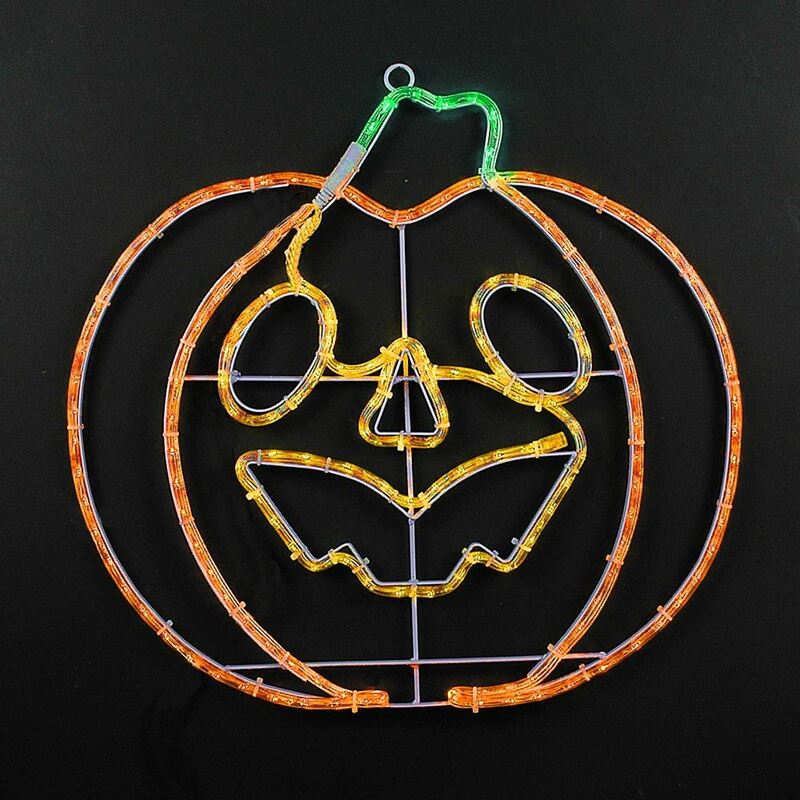 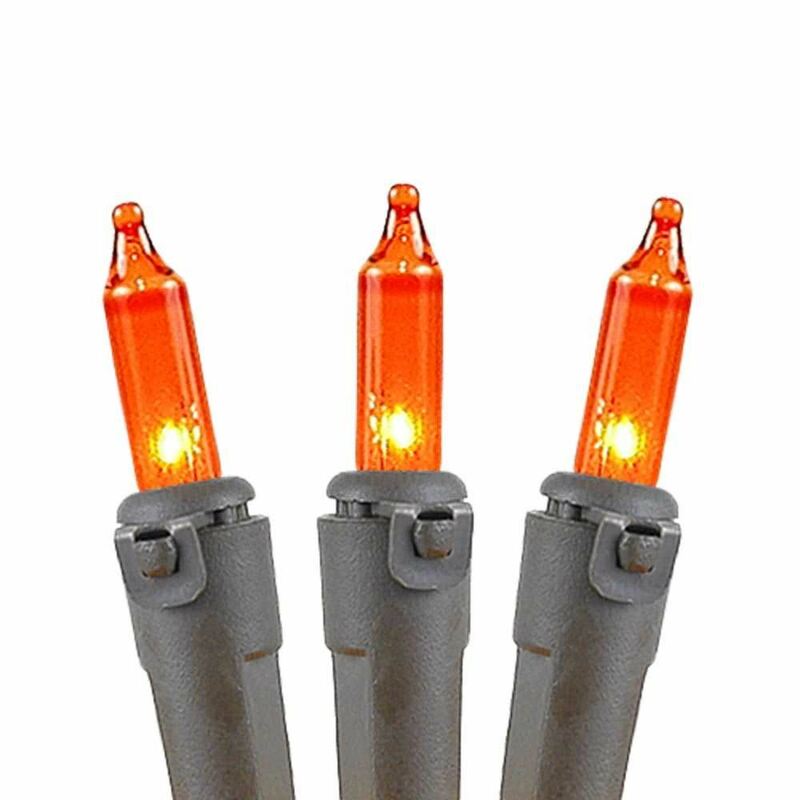 You can connect up to 10 strings end-to-end for a total of 110 linear feet, making these brown wire amber/orange mini lights a popular lighting option for commercial and residential displays. 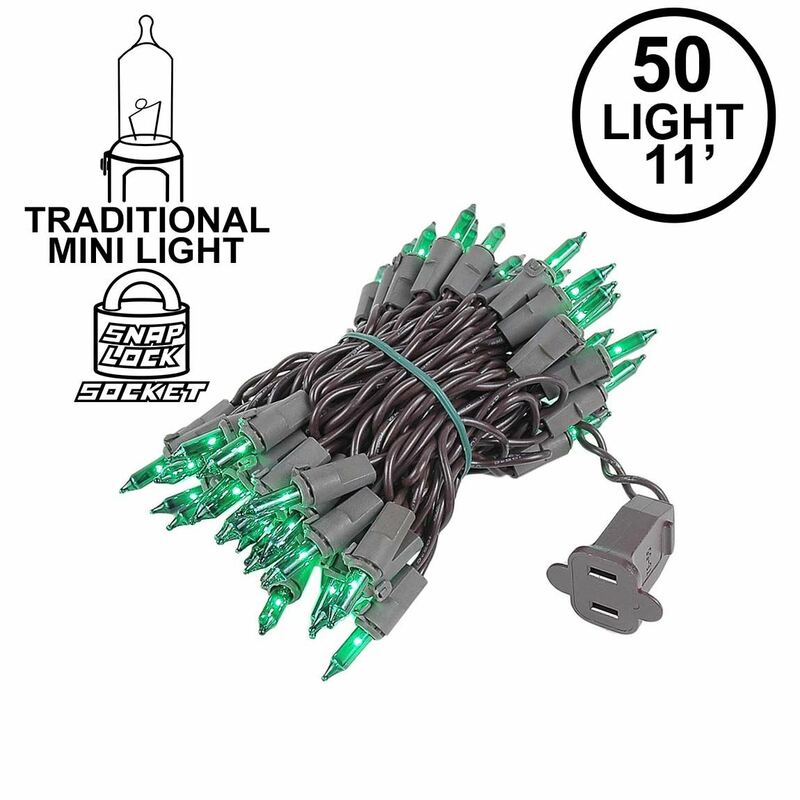 All of our mini light sets have snap-lock sockets that prevent twisting and pulling of the lamp to keep the bulbs securely in place, eliminating vandalism and light loss. You can expect a 3000-hour lamp life from these mini light sets and if one bulb goes out the rest will stay lit. 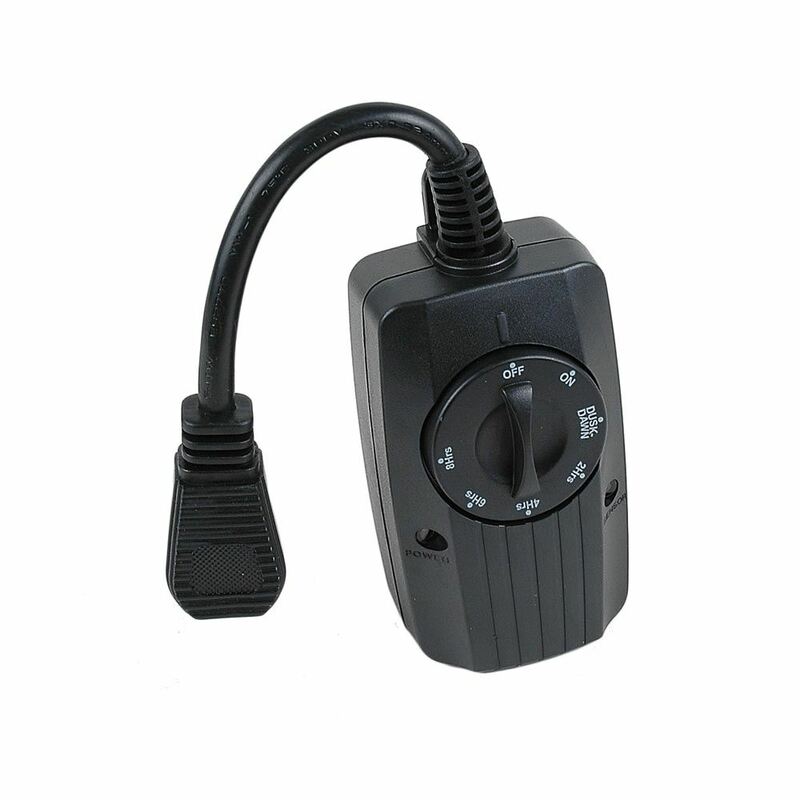 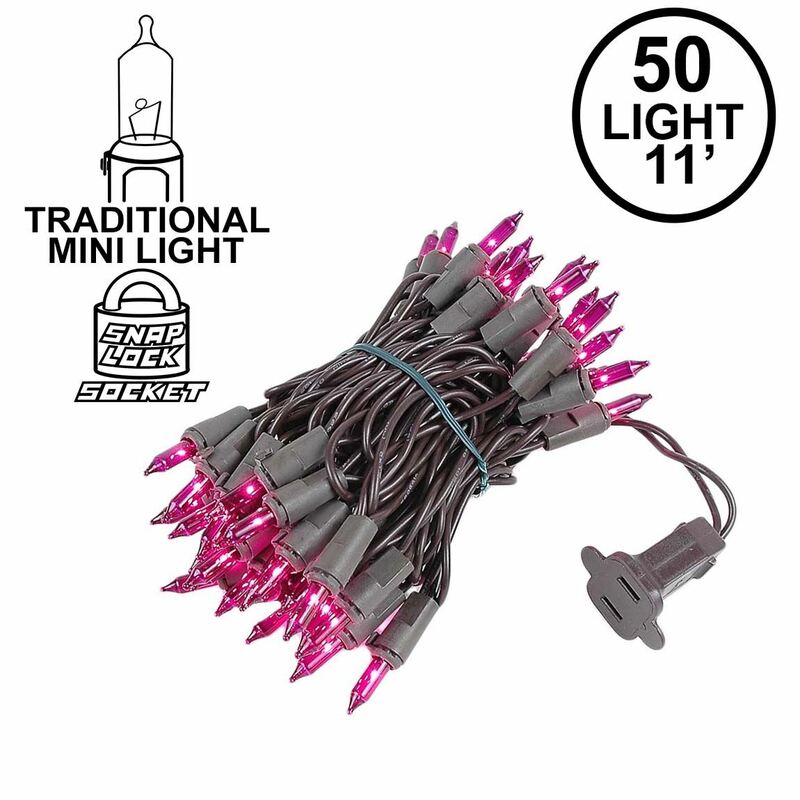 Each set comes poly-bagged for easy clean up and includes 2 replacement lamps and fuses. 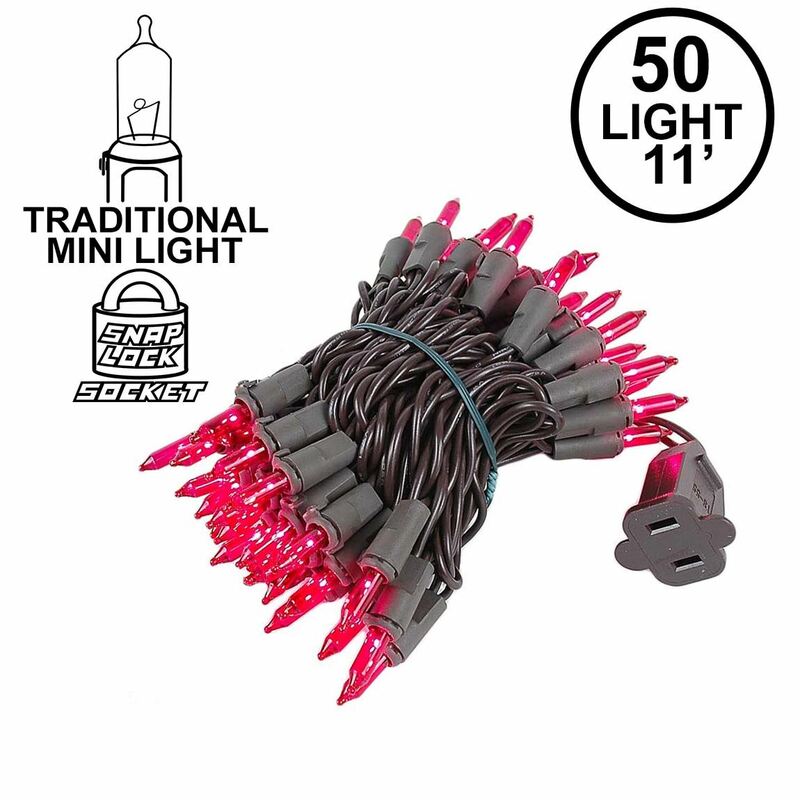 UL Listed for indoor and outdoor usage.